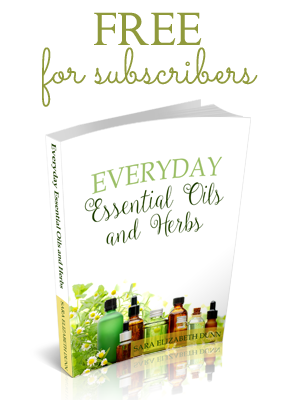 I wrote this after having surgery back in 2008 and unable to do my usual routine around the house. Thankfully, my 5 year-old saved the day! 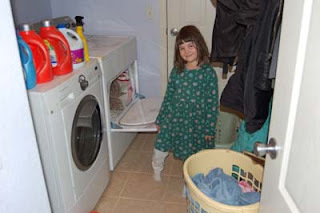 I posted evidence that a 5 year old really could handle laundry. 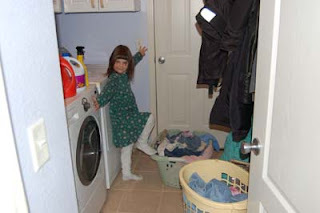 You didn’t think a 5 year old could do laundry? 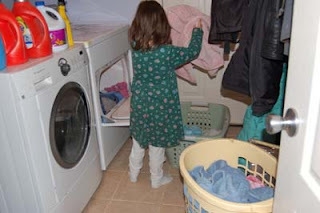 Well, my sweet eldest not only knows how to load the washer, she even knows how to use the detergent, load the dryer, sort and hang. And if you don’t believe me, here are a few pictures of my precious little helper! 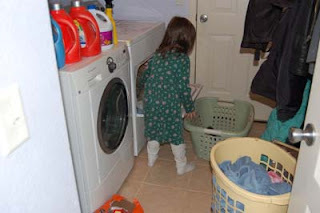 Opening the dryer and getting ready to unload clothes into the basket. 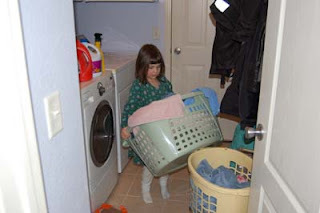 Unloading Clothes into the basket. 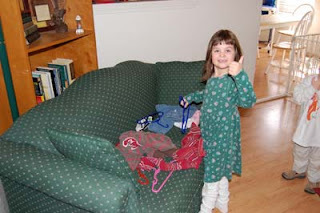 Those are some BIG towels for such a little girl, but Morgan knows how to tackle such a feat. Carrying the clothes to be sorted. 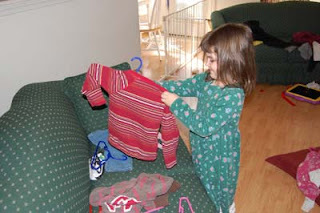 Preparing the clothes for hangers. 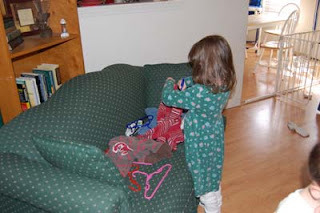 Hanging one of her brother’s shirts. What a great job! It’s all good! « Which Books Interest You?